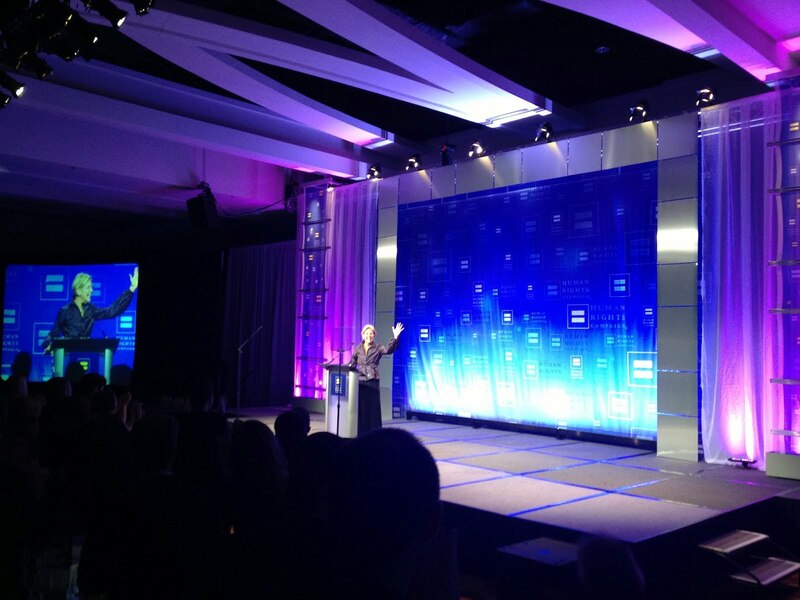 On Saturday, Elizabeth spoke to an audience of more than 700 at the 31st Annual Human Rights Campaign gala and auction in Boston, thanking the attendees for their work and pledging to be a “loud voice” for equality in the US Senate. She noted that she and her husband Bruce have been supporters and admirers of the Human Rights Campaign for more than a decade. Elizabeth would be more than just another vote for marriage equality and a fully inclusive employment non-discrimination law. She will help lead the charge, to be an LGBT ally not just some of the time, but all of the time. As she’s known for on the campaign trail, Elizabeth met as many guests as she could, shaking hands and taking pictures.